While metal watch bands are more durable than your typical leather watch band, that doesn’t mean that they won’t begin to show wear and tear after extended use. This wear and tear may eventually lead to you needing to replace your band, another common reason for replacing your watch band is to update the style and give your watch a new look. 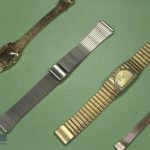 Whichever category you fall under these guides will help you change the most common metal watch band styles. The first thing to figure out about metal watch bands is how they attach to the watch case. Look at the watch case lugs and see whether or not the lugs have holes in them. This will tell you how to go about removing the band. For example: if the movement has no holes in the lugs, you will want to use this guide to learn How to Change a Metal Watch Band – Spring Bar Style without Holes. 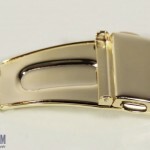 There is another type of metal watch band that also does not generally have holes in the lugs and that is the metal watch band with end caps. These watch bands are connected to the watch case with an extra metal piece that makes it look like the band flows from the watch case in one solid piece, with no gaps at all. 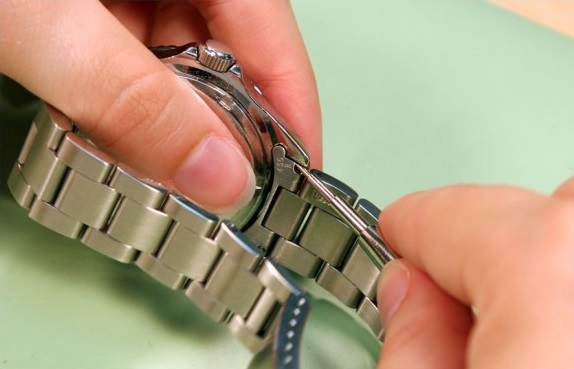 Another easy way to recognize a watch band that has end pieces attached is to look at the back of the watch case where the band connects to the watch case. 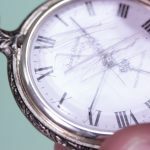 If you can see two wing-like extensions from a small metal piece you’ll know that you will need to use this guide to learn How to Change a Metal Watch Band – Spring Bar Style with End Pieces. NOTE: While you can replace a metal watch band with any kind of watch band from leather to rubber, or just stick with a metal band, you need to be sure that you use a band with similar end pieces. You cannot replace watch band with a curved end piece with a watch band with a flat or straight end piece because the ends will not match up with the holes in the lugs. When you look at the holes in your watch lugs and can see that both sides of the pin holding the watch band to the case have screw head ends, you can be sure that the watch band is held in place with Gucci style screws. 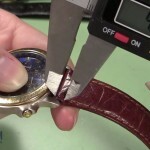 Learn How to Change a Metal Watch Band – Gucci Screw Style here. When the ends of the pin holding the watch band in place are smooth through the holes in the watch lugs you should test the ends of the pin showing. If the metal pin has a little give or movement you are most likely dealing with a spring bar attachment. 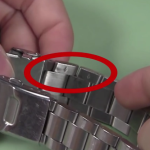 To learn How to Change a Metal Watch Band – Spring Bar Style With Holes, click here.